Every society aspires to be successful or strong. In my tiny city-state, that has meant a constant effort to survive and to find stability and security over the past 50 years. But while most societies and individuals make success their end goal, not everyone is able to attain it. There are many reasons why this is the case. Working in the social services sector, I meet many people who may never “make it” in life because of their physical condition (disabilities and illnesses), past experiences (broken relationships, trauma and abuse), or environment (poverty). But for most of us, it could simply be because we don’t have “what it takes”. In my case, I just never wanted nor was pressured to pursue success. Perhaps it’s because I never tasted it: I never could ace my studies, never had any job promotions, and never won any awards. Being in such positions of “weakness” is not necessarily a bad thing, however. As someone who is familiar with what it means to be weak, I have learned from experience the blessings that weakness can bring. 1. Weakness can make us keenly aware that the success we get is not because of our skills and abilities. 2. Weakness can make us better stewards of whatever God has given us. 3. Weakness can make us realize our sinfulness and see God’s faithfulness. 4. Weakness can cause us to be in the best position for God to use and redeem us for His kingdom work. Over and over again in the Bible, we read of numerous individuals who were given privileged positions by God not because of their abilities or skills. Although Saul came from a well-to-do family, there was nothing extraordinary about him. David started off as a humble shepherd and certainly wasn’t the first choice candidate of both Jesse (David’s father) and Samuel. Samuel thought Eliab was a good choice (1 Samuel 16:6), and Jesse didn’t even consider David at first—maybe because too young (1 Samuel 16:11). But God clearly had David in mind to be Israel’s next king. When we know we didn’t get something on our own merit, we will be able to see clearly that it came from God. The two kings ended their journey very differently however. When Saul witnessed David’s success against Goliath, His insecurity grew and manifested itself in his attempts to murder David. Years later, Saul was defeated in battle. Although he started off well, his ego eventually “Edged God Out”, leading him to squander and abuse his God-appointed leadership role for his own purposes, instead of God’s. David’s ego (or lack of), on the other hand, “Enlarged God Only”, and was known as a man after God’s heart. Unlike Saul, he did not waste God’s anointing and appointment of him as the leader of the nation. He followed God wholeheartedly and sought to achieve God’s purposes for the nation. King David wasn’t perfect throughout his reign. He messed up several times when he indulged his ego by taking a census of his people in violation of God’s command (2 Samuel 24:10-17), and gave in to fleshly temptations by lusting after Bathsheba and ordering the assassination of her husband Uriah (2 Samuel 11:2-17). But when David realized that he had failed, he repented. The Psalms he wrote were filled with anguish, brokenness, and failures. And it was in these moments that David realized that God was always there, that He was David’s Shepherd and Shield. In David’s failures, God’s faithfulness was magnified. These Psalms continue to minister to people across the generations. And despite David’s shortcomings, God chose him to be a forebear of the coming Messiah. David would play a part in the great salvation plan. When we recognize how sinful we are, we will realize the immense faithfulness of God. Even in our failures, God is with us and redeems us. Matthew worked for the Roman government as a tax collector. He was probably widely hated or despised, because many tax collectors collected “extra taxes” which ended up in their own pockets. Tax collectors were outcasts and shunned by people. When we find ourselves being deemed lowly in the eyes of the world, we’re best placed to hear God’s call and be used by Him. My friends and I are help professionals or are serving in full-time Christian ministry in pastoral roles, ministering daily to all kinds of people. One thing we all have in common is the utterly broken and messed-up lives we had before we met Jesus. Some of my friends were gangsters and rebels; some have attempted suicide, struggled with mental and physical illnesses, had been abused, or had traumatic childhoods. 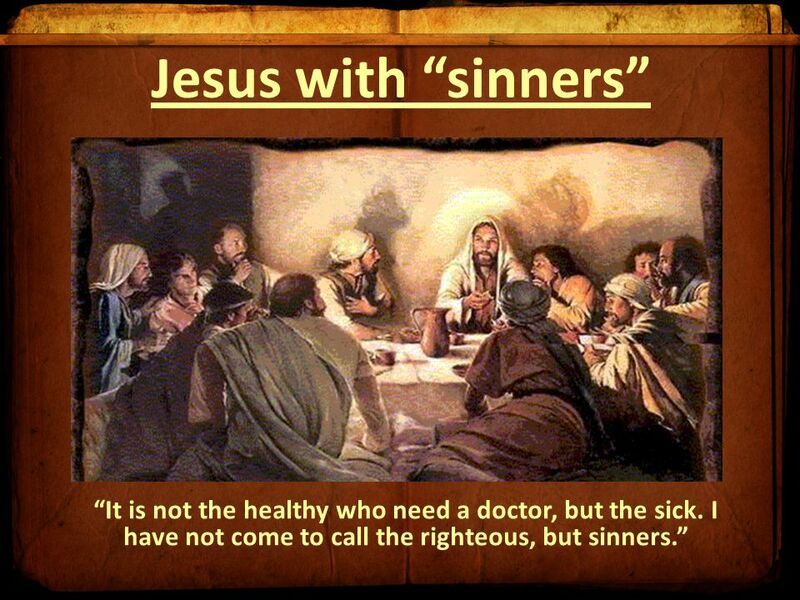 But Jesus redeemed our lives, and healed us spiritually so that we can share His grace with others. To live and work together daily among such broken vessels, I can only marvel at God’s transforming love and grace to us, allowing us to be “wounded” healers for Him. “The Lord is the strength of my heart (Psalm 73:26)”.